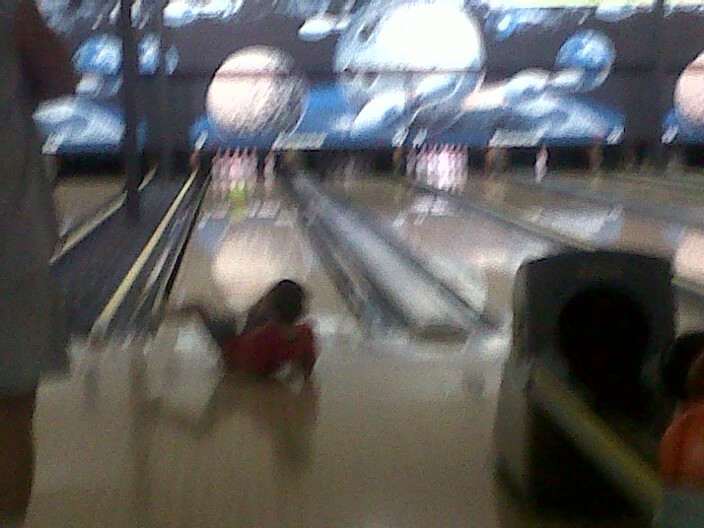 So, as I eluded to in the previous post, we went bowling today. All and all we had fun, and Benji got a strike! We know that Benji needs to build his endurance so we try to do things that help. With the www.KidsBowlFree.com promotion this summer, we have gone bowling several times. Most of the kids really like it. Today Benji used a 6 pound "junior" ball through the first game. 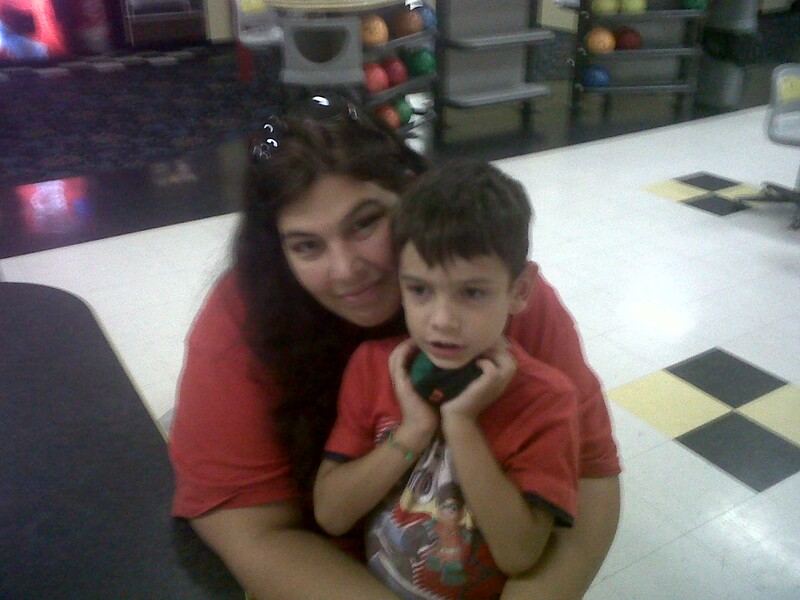 (This strike was in his first game) In the second game he got very tired and we used a ramp for him so he could still bowl, it just didn't take so much out of him.